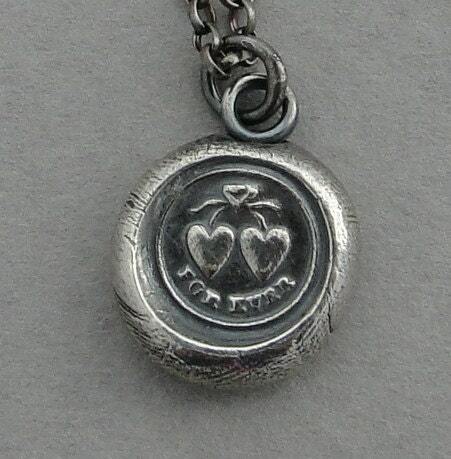 This wonderful sterling silver, handmade, necklace features two entwined hearts with the romantic word 'forever'. 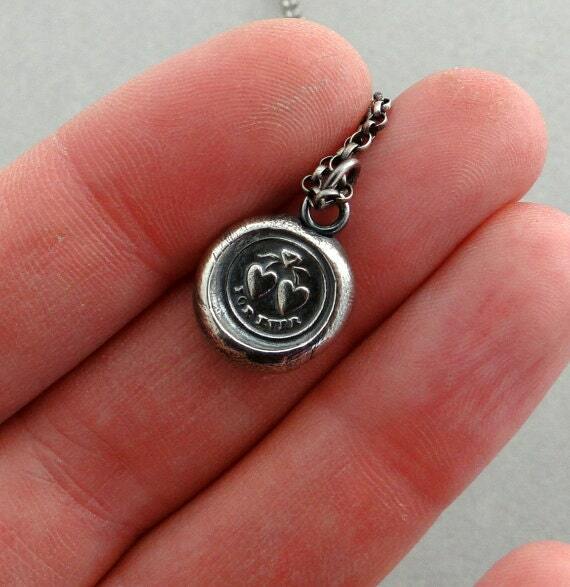 Perfect for bridal jewelry, a love token, a promise, or a pledge. 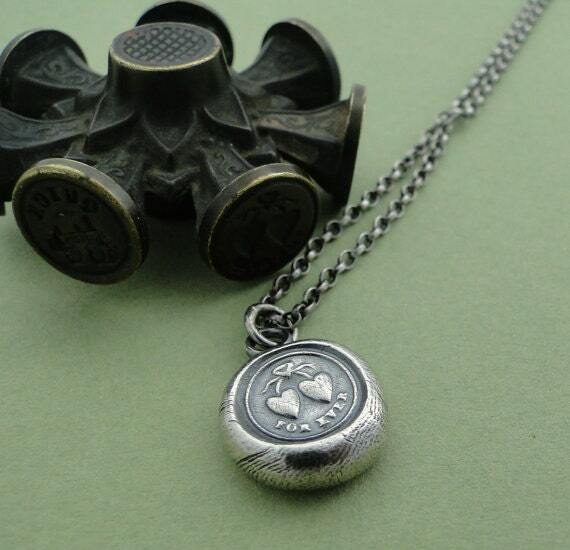 This antique wax seal is so beautiful and touching. It features two hearts tied together with a ribbon..... bound together forever. A bond that is eternal and unbreakable. 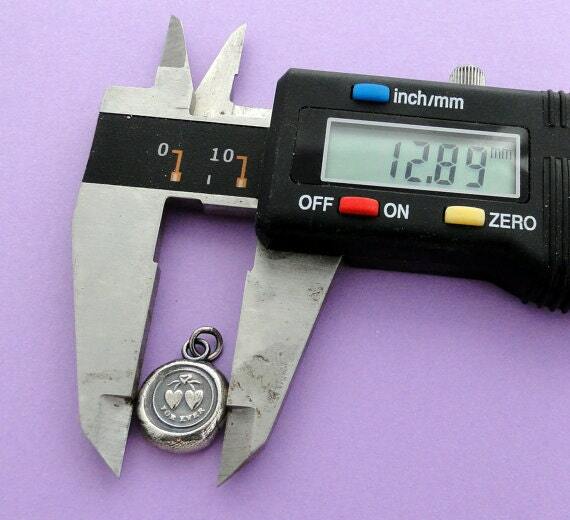 This pendant measures 12.8mm approx. across the centre of the piece. This may vary slightly due to the fact that it is handmade.